2. Share Your Opinions- Participate in online surveys regarding new products and services. 3. Earn FREE SPIRIT® miles- Use them on award travel and treat yourself to a nice vacation. 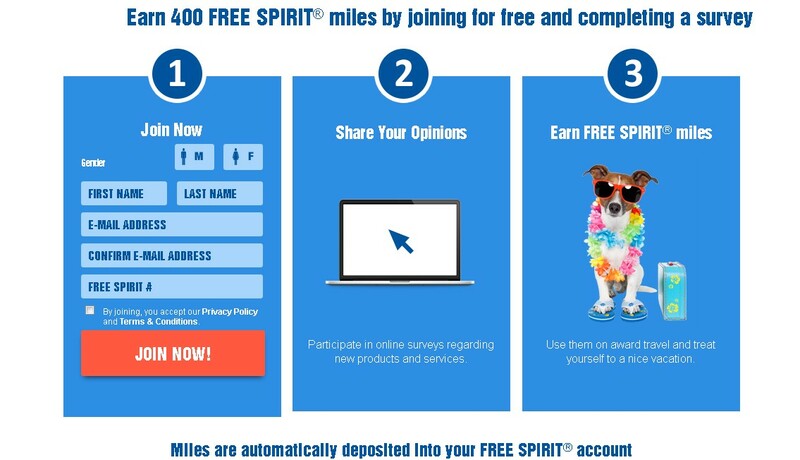 Go to Miles For Thoughts USA now to Earn 400 FREE SPIRIT® miles by joining for free and completing a survey.